CUSAT 2019 Result (Rank List) for B.Tech course will be released in June 2019. 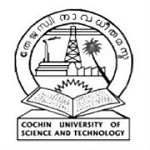 CUSAT is a university level entrance exam which is managed by the Cochin University of Science & Technology, Kerala. The university conducts the Common Admission Test (CAT) for offering admission into various UG, PG and doctoral level courses. The university awards the degree in the field of engineering and science subjects. Through this exam, candidates will be eligible to get admission in the university and its affiliated institutions. CUSAT 2019 Rank List for M.Sc & MCA courses will be released in June. Check here complete details of about CUSAT 2019 result, including some other related information. CUSAT counselling 2019 has been started from June 2019 for various offered courses. The counselling is organized after the declaration of the result for various exams such as CAT, DAT, LET, etc. The university will provide the result in June 2019. CUSAT CAT has been conducted on 6th & 7th April 2019 through online mode. The university has released the answer key within one week of the written examination. With the help of answer key, candidates can estimate the marks which they will be going to score in the entrance exam. The counselling is organized from the same day of the publication of results. The admission will be provided on the basis of ranks secured by the candidates. If you have any other queries about CUSAT Result 2019, you can write your queries in the comment box given below. Do all students in the rank list of cusat cat-2018 get admission in b.tech? Not all students. Its depend upon the availability of seats. I got 7061 rank in cusat(b tech),is there any chance to get good college. Our cusat results not show in this list. Please let me know it so that i and my friend can join the college and become a part of the college. How to register for CUSAT Counselling for B-TECH courses after qualifying CUSAT CAT? my name is not in the rank list ..what will i do next? is there any way to know score…? and y te rank list is limited to 12600? When u will release CUSAT Btech result? When is the result date? Please be kind enough to inform me. Is it MSC pG result? When will CUSAT btech/msc photonics result declaration?? When cusat 2018 results will be published. Will cusat score 234 get admission for B. Tech computer science or electronics in free seat or payment seat? What will be the rank for 234 mark? I ve got 393 MSc chemistry… Will I get admission in cusat?????? …i applied for mca…will i get admission in cusat? ?what were the next admission process?? please let me know the Publishing date of Btech courses.